The Lake Mendocino Forecast Informed Reservoir Operations (FIRO) Preliminary Viability Assessment Work Plan describes an approach for using modeling, forecasting tools and improved information to determine whether the Lake Mendocino Water Control Manual can be adjusted to improve flood-control and water supply operations. 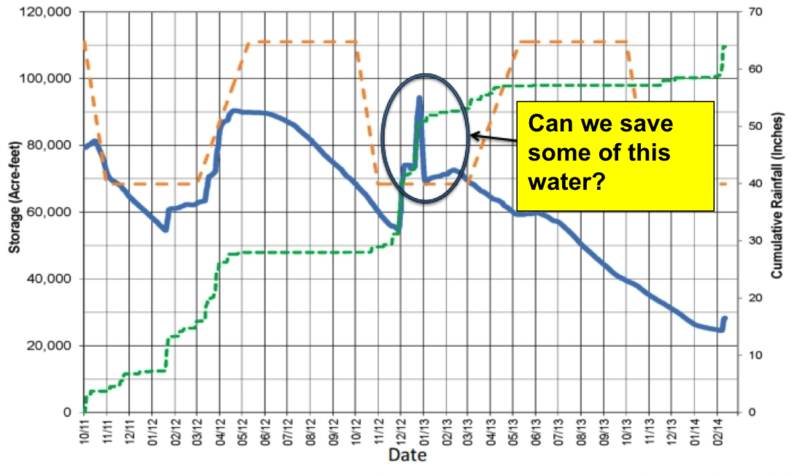 This proof-of-concept FIRO viability assessment uses Lake Mendocino as a model that could have applicability to other reservoirs. The 1959 Lake Mendocino Water Control Manual (with minor updates in 1986), specifies reservoir elevations to control flooding and establishes the volume of storage that may be used for water supply. The Manual was developed using the best information available at the time, but it has not been adjusted to reflect changing climate conditions and reduced inflows over the past 30 years. The FIRO Steering Committee has developed a work plan for assessing the viability of FIRO that takes advantage of current science and technology. FIRO envisions modern observation and prediction technology that could provide water managers more lead time to selectively retain or release water from reservoirs based on longer-term forecasts. Optimizing reservoir operations potentially benefits water supply and environmental flows without diminishing flood control or dam safety. This Work Plan presents an approach for considering a proof-of-concept FIRO viability assessment using Lake Mendocino as a model. Specifically, it outlines a process for evaluating whether FIRO can support adjustments to the Manual. The work plan describes current technical and scientific capabilities, and outlines technical/scientific analyses and future efforts to demonstrate the potentioal of FIRO to improve reservoir management. The assessment will present a suite of actions ranging from practical, short-term steps to longer-term research needs. If deemed viable, FIRO will likely be implemented incrementally, as science evolves and implementation criteria are met. 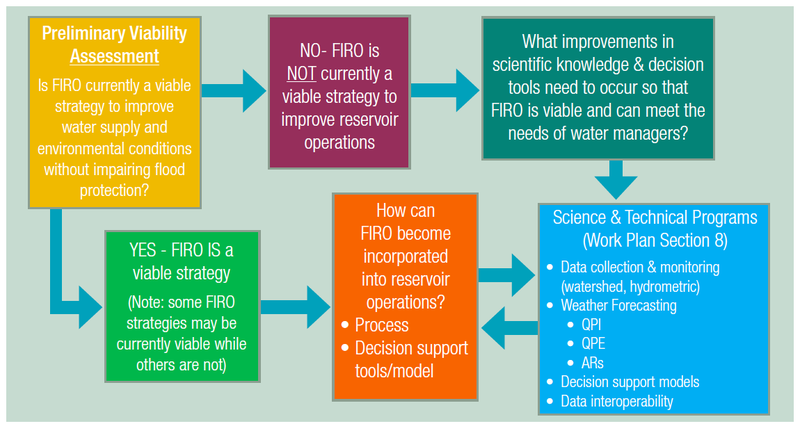 FIRO follows adaptive management principles for continual improvement of reservoir operations. 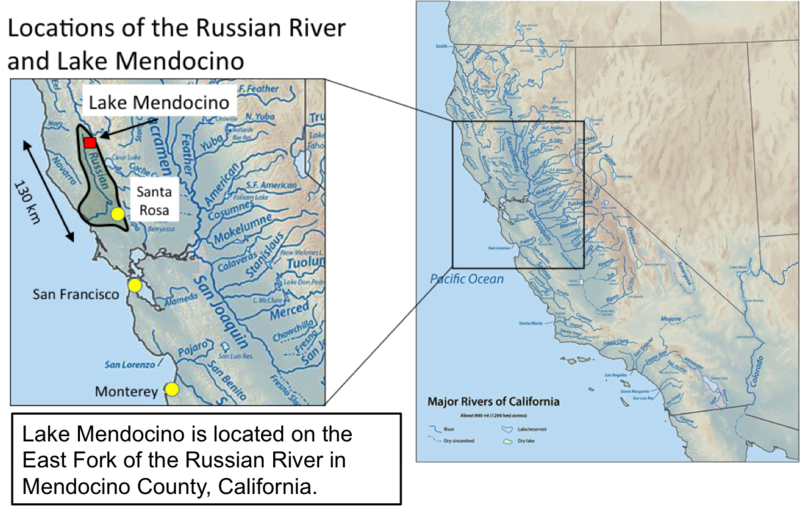 In the case of Lake Mendocino, and much of the west coast, this hinges on opportunistically applying advances in monitoring and predicting atmospheric rivers, their associated precipitation and runoff.